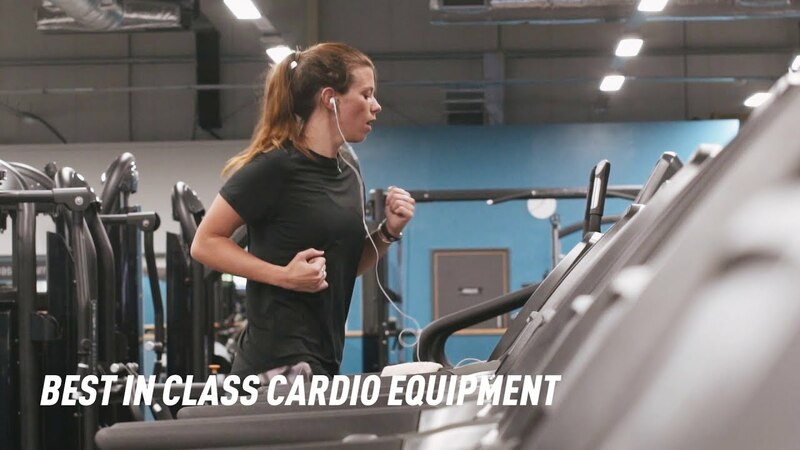 Our PureGym in Fareham will give you access to everything you need to get fit, stay fit and have fun. Members have access to a wide range of the best gym kit, a choice of effective classes, and loads of motivation in-gym and online. Plus, we offer FREE parking so it's super easy to get in and start training. Join today and we’ll introduce you to fantastic new ways to work out and feel great. Our goal is to provide you with the best gym equipment so you've got more ways to enjoy your passion for fitness. That's why we've filled the gym with state-of-the-art kit we know you're going to love. Whether you're a gym class lover or new to group exercise, be sure to check out our packed timetable of fitness classes. You never know, you might just discover a new favourite training session! Our fitness team is on hand when you need them to help you stay motivated and discover fun new ways to see results. There's no limit to what you can achieve with us - get inspired by these member stories. Simply head to the online joining page, select the gym from the drop down menu and fill out your details. We'll then send you your unique PIN so you can come in, meet the team and discover how we can help you on your fitness journey. Rated 5 out of 5 by OlliD from Great quality and value Joined the gym after finishing Uni. Couldn’t ask for a better well kept gym with plenty of quality equipment. The staff are also very helpful and willing to help with any issues. Rated 5 out of 5 by JonnyShaw88 from Great gym, quality equipment and friendly staff Signed up to Pure Gym as I was training for a CrossFit event and being a 24 hour gym this was perfect, as working long hours means I miss training sessions at my affiliate. Pure Gym has all the equipment I need for WOD’s, along with a funtional area that is big enough for any workout. Would definetly recommend this gym to anyone! Rated 5 out of 5 by Mrs T from Excellent gym I really love the layout of the gym and the facilities it has ! The staff are very friendly and knowledgeable . Rated 5 out of 5 by Sharna81 from Fab and Friendly Gym What a great gym, excellent facilities and equipment, amazing staff and super members. Such a warm, inviting and friendly place to be. I’m so glad I joined. Rated 5 out of 5 by Pete21 from Great gym I originally signed up to the Port Solent gym but since joining Fareham I have been more regularly and and am actually enjoying the gym.